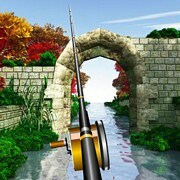 Description: You are fishing in a Pristine lake in a valley below snow covered mountains. 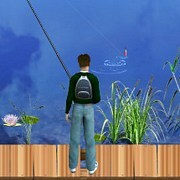 A fishing sim that features blue sky and crystal clear waters.You can fish at five different spots on the lake and choose from eleven different lures. 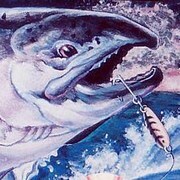 The fish species you can catch include Smallmouth Bass, Grayling, Crappie, Bluegill, Salmon and Trout. 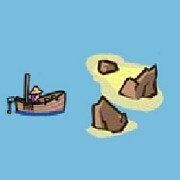 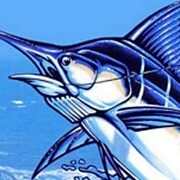 Try out each spot location to catch a variety of fish! 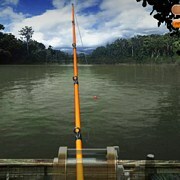 No timer limit, keep catching and check the leaderboard for score! 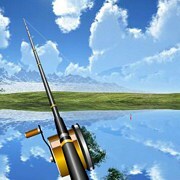 Its very relaxing and beautiful, enjoy! 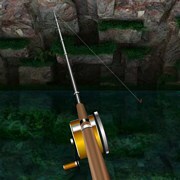 Instruction: When you are catching a fish don't let your gauge reach the red or your line will snap! 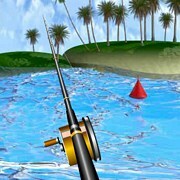 Game Controls: Use your mouse to cast and reel in.